It is the beginning of Spring in Egypt, but temperatures already could feel like peak of Summer for many European and other visitors. This got us thinking about our first visit to Egypt many years ago, and what we learnt about keeping your cool when travelling. Clambering around the Valley of the Kings or the trek to Abu Simbel (back in the early 1990s, when we did it, travel was a truck with no air-conditioning) can be enjoyable even in mid Summer, if you are well prepared. Here are our tips on how to avoid dehydration, heat stroke and heat rash, and maintain your energy to really enjoy your travel. Schedule activities so you are in shade or in air-conditioning at the hottest times. In many countries business hours and eating are set to avoid the heat, so follow the locals and their living patterns. Choose clothing made of natural fibres – cotton, silk, hemp. linen or mix of these. White or light colours reflect the heat, darker colours will make you feel it more. For women especially, if you want to respect local traditions of modest dressing keeping cool is not as difficult as it may initially seem; long, loose layers can be just as comfortable as shorts and a tank top, and you won’t need sunscreen for all that extra skin you are covering. Wear a hat, it protects you from heat and your hair and scalp especially from burning. Again a light colour is best. An alternative is a paper or cotton canvas umbrella or parasol, especially useful in places where there is a breeze and hats just don’t stay on. The parasol supplies more shade than most hats (unless the hat has a very wide brim) and can protect shoulders and neckline as well as head and face. Choose sunglasses that protect from UV radiation. Don’t look directly at the sun. If you are outdoors and feeling the heat, soak in water a cotton scarf and tie it around your neck. Aloe Vera will relieve sunburn, heat rash or other skin irritations. Keep it in the fridge for added cooling pleasure. Cold tea also soothes sunburn. A natural cornstarch powder (without the chemical of talcum powder) to ease some skin problems. Peppermint oil is wonderful for aching feet and legs – a few drops in water or mixed into a natural moisturizer base and massaged in will instantly cool and relax, and you will be ready for a night out when you thought your day was over. Take cool showers, not hot showers. Always take an extra layer of clothing, even to somewhere you think of as having a hot climate. 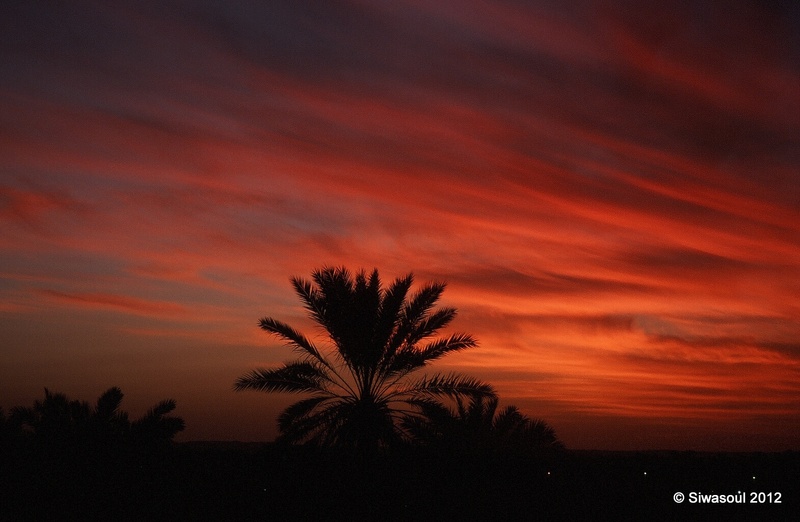 Nights in the desert, for example, can be very cold, and temperatures in some places can drop 20 degrees from the peak daytime temperature to the nighttime minimum. When the heat does get too much, stop for even 10 minutes for a cool lemon or mango juice, and reflect that people “back home” may be complaining about the cold and grey skies, while here in Egypt you are enjoying blue skies and sunshine, viewing some of the most amazing sights and meeting some of the best people in the world.